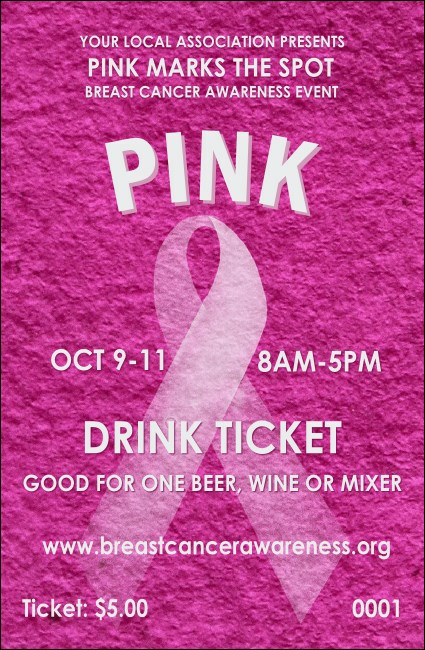 Help your guests think pink while they wet their whistles when you give them Breast Cancer Pink Ribbon Drink Tickets at your next awareness event. Show cancer who’s boss with tickets that feature a distinctive, bright pink, texturized background design and sequential numbering to help keep your event secure. Find the right ticket to raise awareness at TicketPrinting.com.